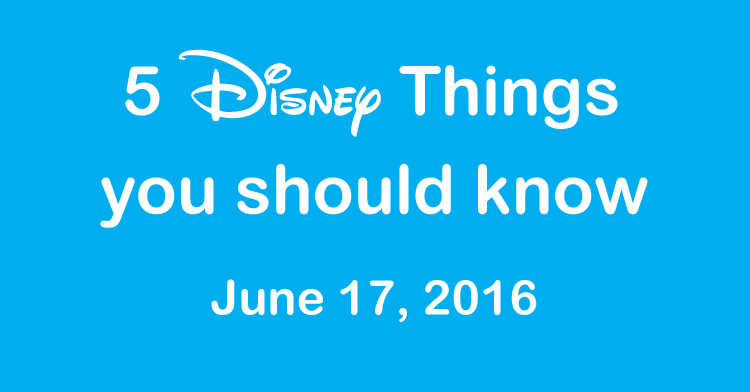 Normally each Friday, I provide 5 Disney things all Disney fans should know from this past week, just in case you missed them. However, due to the horrible tragedies that occurred in Orlando and at Walt Disney World earlier this week, the release of Disney news and our posting on this site was slowed on purpose. This week we only bring you 3 Disney news items. On Tuesday, June 15, a 2 year old Toddler from Nebraska was walking on the beach with his family at Disney’s Grand Floridian Resort when he was pulled underwater by an alligator. The child did not survive. This is a horrible tragedy, and one I couldn’t even imagine having to endure as a father. “There are no words to convey the profound sorrow we feel for the family and their unimaginable loss. We are devastated and heartbroken by this tragic accident and are doing what we can to help them during this difficult time. Shanghai Disneyland, the sixth theme park location for Disney has finally opened, following Disneyland, Walt Disney World, Tokyo Disneyland, Disneyland Paris and Hong Kong Disneyland. 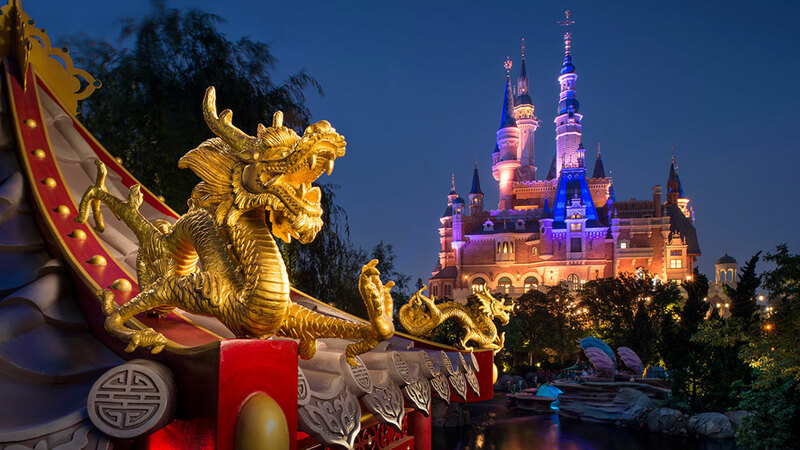 While many of the international parks resemble Disneyland and the Magic Kingdom, Shanghai Disneyland only feature a hand full or original Disney rides, while most of the attractions are brand new exclusively for Shanghai Disneyland. The park looks fantastic, can’t wait until I get to go in November. Check out the video of the opening ceremonies, so so good. The long anticipated sequel to Finding Nemo has finally been released, Disney•Pixar’s Fining Dory. Can you believe it has been 13 years since Finding Nemo? This updated version features Dory in search for her family, along with Nemo and Marlin and a cast of new characters. Early reviews have been fantastic, and I am sure it will be a very popular film. BTW, did you know many of the new characters from Finding Dory were added to Turtle Talk with Crush in Epcot today? Walt Disney World has announced a new parade package at the Magic Kingdom, the Tony’s Town Square Parade Dining Package. Similar to the Fantasmic! 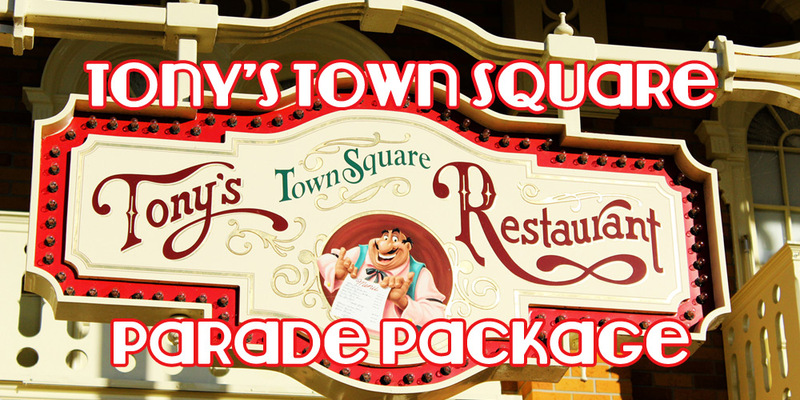 dining packages in Disney’s Hollywood Studios, this new package will include a meal at Tony’s Town Square as well as reserved seating/standing area for the Main Street Electrical Parade. 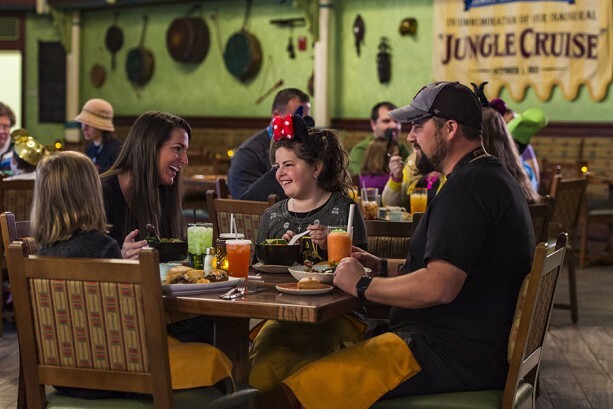 Reservations can be made to take a mid-day break to refuel and enjoy a three-course lunch at Tony’s Town Square Restaurant. Indulge in a delicious Italian meal, knowing you’ll also receive reserved viewing for the Main Street Electrical Parade, right in front of the flagpole on Main Street U.S.A. 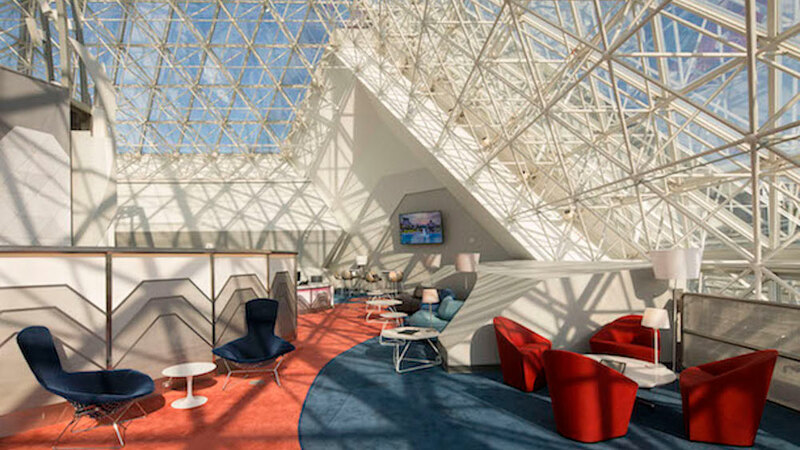 This week, a new lounge opened in the Imagination Pavilion at Epcot, exclusively for Disney Vacation Club members and their guests, and it looks fantastic! Available for Members with paid admission to Epcot, the lounge is open daily from 10:00 AM to 6:00 PM. The new lounge is tucked away on the second floor of the Imagination! pavilion (with the Member entrance in the ImageWorks merchandise location on the first floor of the pavilion). Ascend the staircase or take the glass elevator up, and you’ll find yourself inside one of the Imagination! pavilion’s towering glass pyramids. It’s a bright sunshine-filled space that offers commanding views of Epcot. The lounge is a great place to recharge (yourself and your devices) while visiting the theme park. There’s lots of casual seating, complimentary beverages (including Coca-Cola Freestyle machines), device-charging stations, Wi-Fi, computer stations, a printer and mounted tablets pre-set to help you access myriad Disney websites. There’s even a play area for children where they can test theirDisney Infinity skills or watch some of the latest Disney animated shorts. While kids are playing, mom and dad can consult with Member Services Advisors who are available daily to assist with dining reservations, future resort stays and more. Weekdays an RCI advisor is be available to help Members navigate exchange options for upcoming vacations. 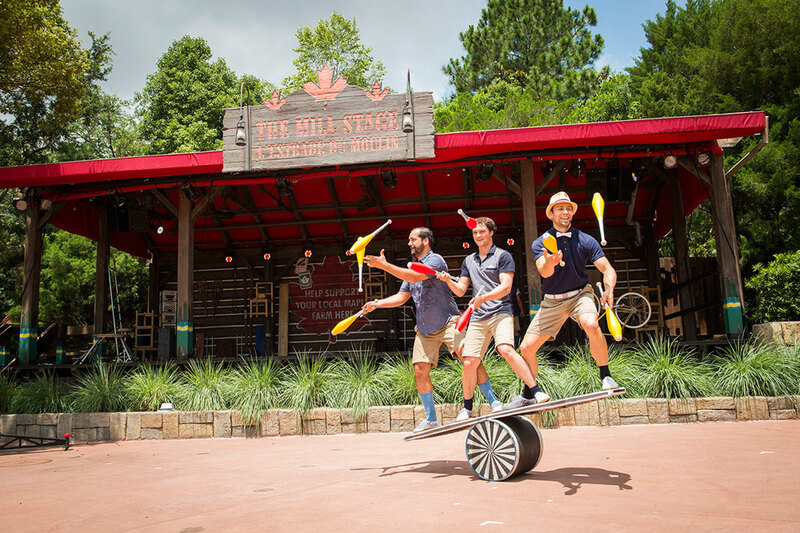 You’re in for a treat this summer in World Showcase at Epcot, when the talented artists and athletes of Les Parfaits Inconnus take the stage at the Canada pavilion. Hailing from Québec, Les Parfaits Inconnus combine music, circus art and comedy to create an off-the-wall performance unlike anything seen before! Demonstrating a mastery of several circus disciplines and proficiency with musical instruments, the performers of Les Parfaits Inconnus fill their audience with wonder and delight. Les Parfaits Inconnus will be appearing for a limited time on the Mill Stage in the Canada pavilion at Epcot. Next week is the grand opening of Shanghai Disneyland, and everyone is invited to celebrate this special occasion at Disney California Adventure. On Thursday, June 16, join us in Hollywood Land at Disney California Adventure park from 10 AM to 5 PM and enjoy special entertainment and photo opportunities in honor of the opening of our newest world-class Disney destination. 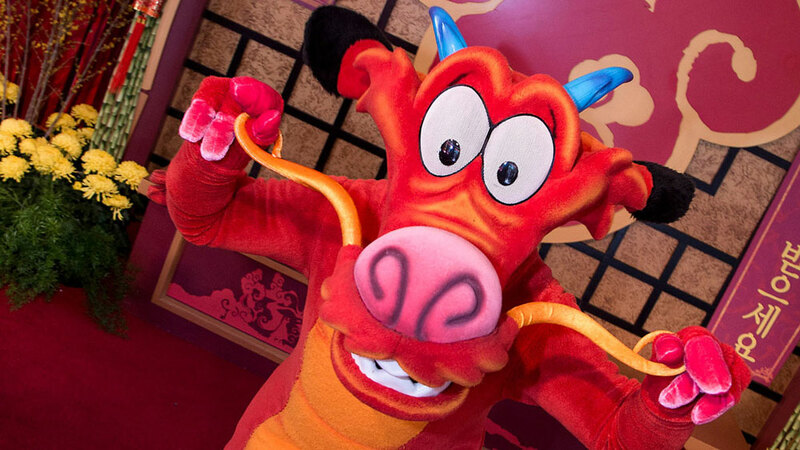 The festivities will feature colorful performances by local community groups, along with character appearances by Mulan and Mushu! Some favorite Asian-inspired food & beverage offerings, including pork bao, almond cookies and pot stickers, will also be available for purchase. In addition, Disney be giving away a button commemorating the opening of Shanghai Disney Resort to each guest entering the Disneyland Resort theme parks, while supplies last. Hope we see you there! At the Jungle Navigation Co. Ltd. Skipper Canteen in Magic Kingdom Park, you can discover bold and flavorful tastes inspired by the exotic flavors of the rivers traveled on the Jungle Cruise attraction. And now, you can make advance dining reservations reservations at this restaurant for lunch or dinner. Reservations can be made up to 180 days in advance by calling 407-WDW-DINE or via Disneyworld.com/dine. As with all dining reservations, a credit card guarantee is required at the time of reservation and the standard cancellation policy applies.